“Last fall I had a new Armstrong Highboy oil furnace installed and it ran very well all winter, and I expect it will run just as well for many years to come. It replaced a model that was 55% to 60% efficient on its best day, so my fuel costs were much lower. It runs a lot cleaner than the old one, too, otherwise I would have made the switch to a propane furnace. I got estimates from the Armstrong dealer as well as 2 others. One guy did nothing but rip oil furnaces and was trying to take me into a heat pump or a gas furnace. He was doing a real sales job and the estimates he provided were very high. I’ll probably live here another 7-10 years and I didn’t want to spend money I’d never get out of the system. The second salesman was fine, I just preferred the Armstrong to his furnace. Installation went well and there were no hidden costs which I appreciated. Here’s what I paid for it. I also had about $400 in ductwork expenses to make the new unit fit. Thanks for the letter Earl. We appreciate all of the HVAC prices we get from our readers so we can pass along accurate information. Here are features to help you decide if this Armstrong Air 80 Highboy LUF80C57/72D12 oil furnace makes sense for you. 83% AFUE is about average for an oil furnace. Variable-speed blower runs low to maintain indoor comfort and high to boost heating when needed. The blower also does a better job reducing humidity if you have a central air conditioner included in the system. Runs more quietly than single-speed oil furnaces. Ceramic combustion chamber and one-piece, heavy-gauge heat exchanger are durable. Beckett flame retention burner is the top-rated burner in oil furnace reviews. They are clean and efficient. The heat exchanger and burner can be cleaned easily with large, accessible ports. Lifetime limited warranty on the 14-gauge heat exchanger; 5-year parts limited warranty on everything else. Some homeowners want to save money by installing their oil furnace on their own. Sometimes it works well, but in most circumstances, the job should be done by a pro. Without proper installation, there are too many things that can go wrong. The furnace can run inefficiently if the flame isn’t set precisely. Safety can be a factor since the fuel is very flammable and the exhaust contains deadly carbon monoxide. Hire a qualified contractor to install your Armstrong Air 80 Highboy LUF80C57/72D12 oil furnace and you’ll have the peace of mind that you are safe and that you are getting the very most from your new furnace. 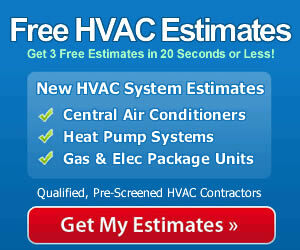 What is an HVAC System and What Does it Do?